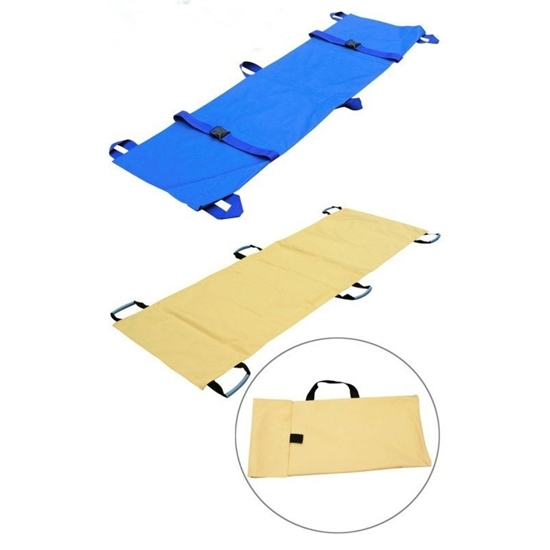 A strong, versatile, compact stretcher that can be used as a stair-chair, as well as a temporary transport lifter. The six or ten handholds allow convenient two or more person transport of heavier patients. Made of heavy nylon fabric. It is machine washable and dryable. Lightweight and folds easily for compact storage.